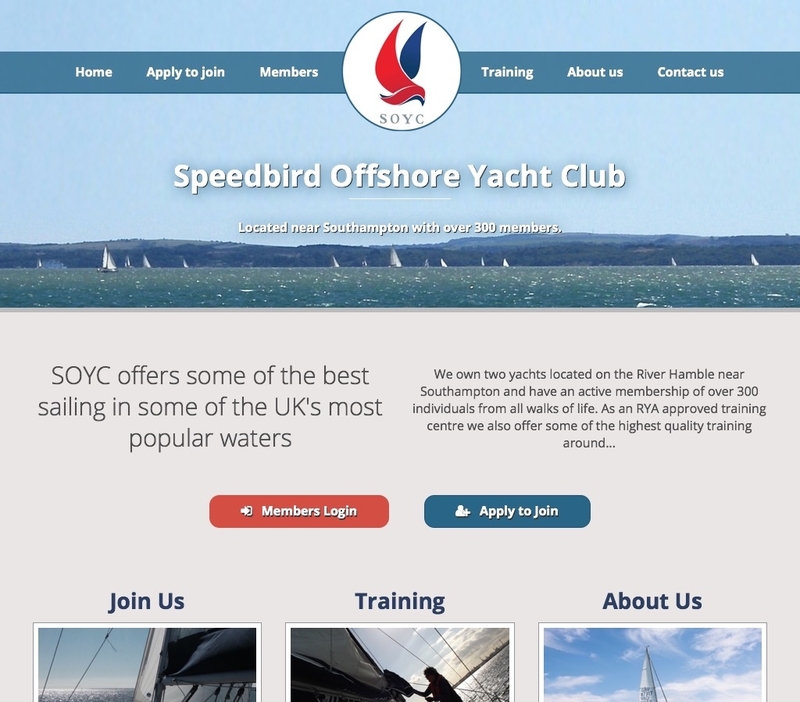 Speedbird Offshore Yacht Club offer sailing experiences and training to it's members and required a new website to affectively advertise what they do and to attract new members. SOYC's old website was confusing to navigate and whilst it did contain some of the information viewers were looking for, it was hard to find and often buried in sub-pages. 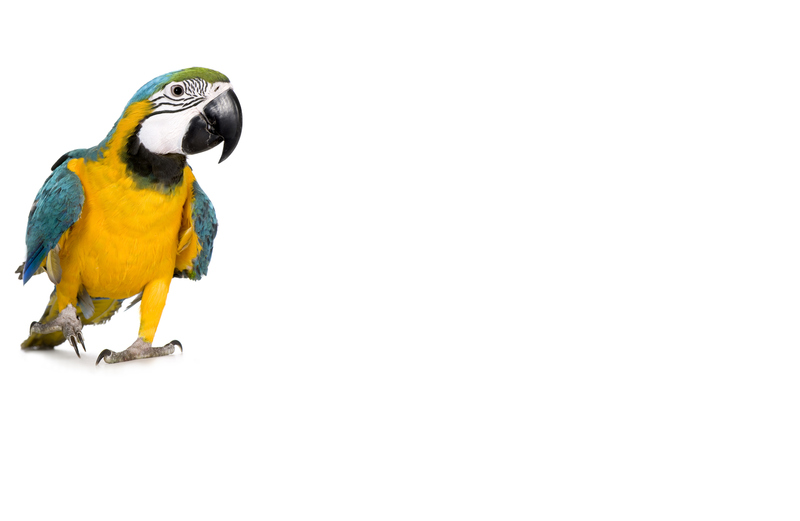 To fix these issues, Webbed Feet UK firstly re-designed the website from the ground up with a much clearer layout and navigation. The new site is also mobile friendly and responsive to make it easier to view on modern devices. Along with the re-design, we proposed a complete over-haul of the site's content and pages. We organised pages in to sections relevant to what the viewer is visiting the site for. Existing members now have a dedicated section with content relevant to their needs, such as weather reports, news and photo gallery. 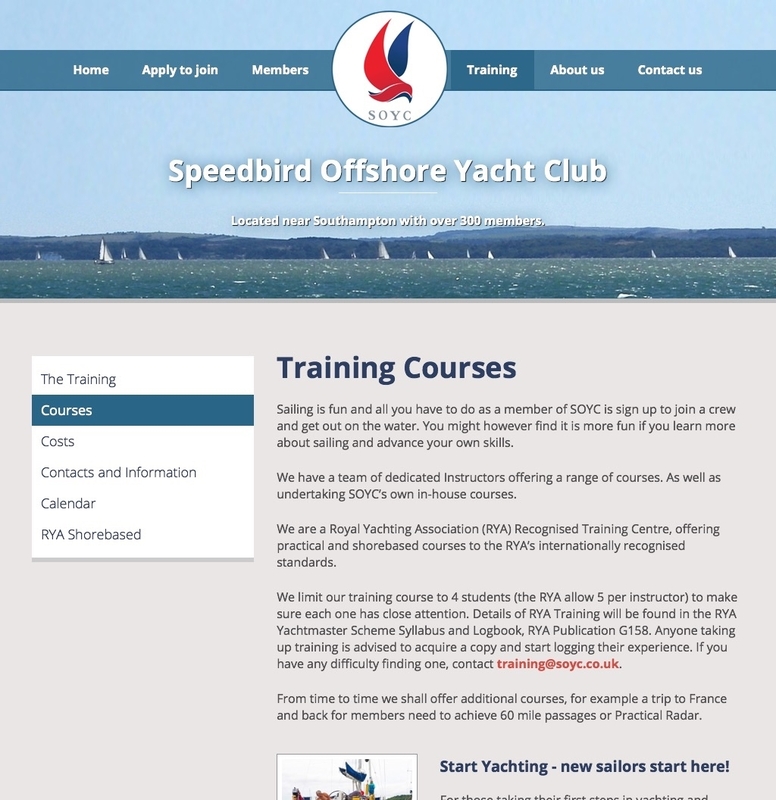 Other sections of the site are dedicated to training, new members (applying to join) and general information. 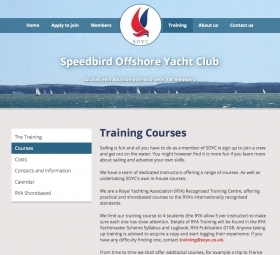 Each subject now has it's own page to capitalise on SEO keywords and make content easier to find. On the home-page we placed 2 calls to action. These are targeted at the 2 primary audience types, members looking to access the external booking system (Members only) and non-members looking to join. By catering for these 2 primary audiences straight away we greatly increase the usability of the site and support the goals of both the end-user and the club itself. 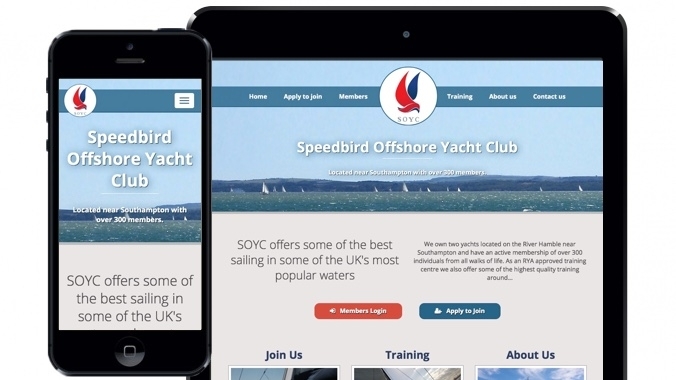 If you are interested in a website with a mobile-friendly responsive design, or you'd like to hear more about our new CMS, then contact Webbed Feet UK.